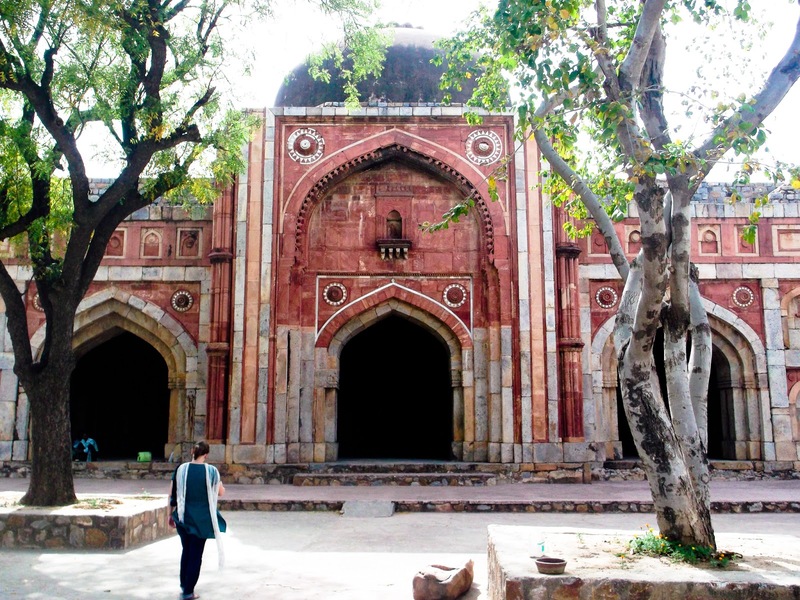 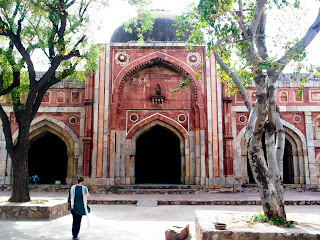 Jamali Kamali is a pretty mosque and tomb in the Mehrauli Archeological park. 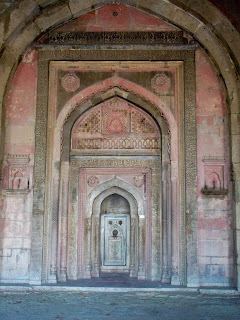 Jamali was a sufi saint and poet from the time of Lodi, Babur and Humayan (one of his favorites). The complex was built during Humanyan's reign. 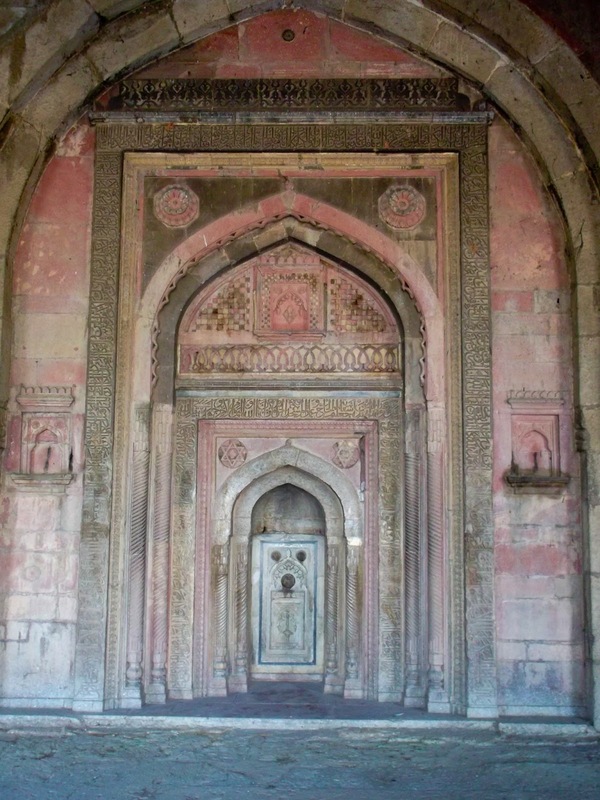 Jamali Kamili has a fairly infamous reputation as one of India's "most haunted" places. 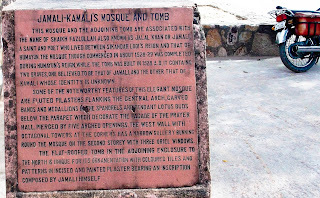 Rumors of apparitions, tv shows and the unknown identity of the second tomb, that of Kamali, fuel the stories. Though I'm the first to question and disbelieve historical sign markers, I've no reason to think the ASI is trying to hide anything from the public. 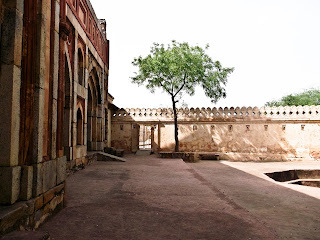 I saw nothing haunting during my visit other than the hauntingly beautiful texture of the red sandstone.